I have found true the quote that, “Money can buy you everything, except the time it takes to be a good fly fisherman.” I have spent a great deal of time trying to become a good fly fisherman and long enough to learn that the fool say he knoweth, while the wise man knows he is a fool. One of the best tips to becoming successful is to always check the water flow conditions before setting out for fishing. In Colorado, there is a website for water conditions. 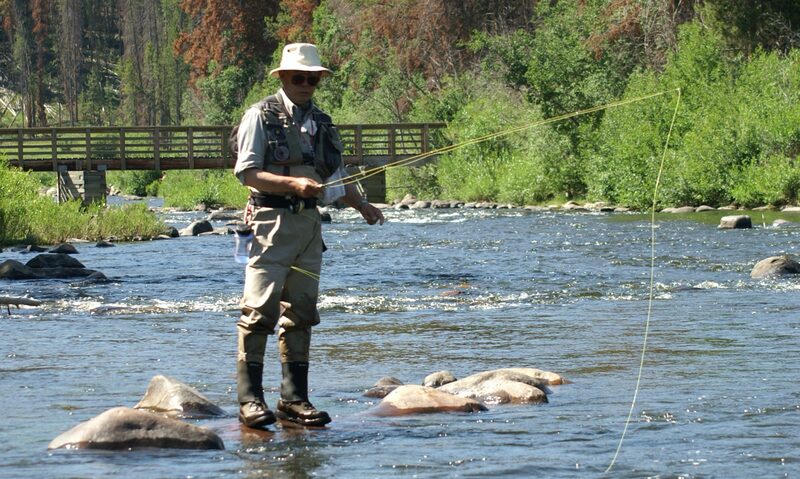 Rim Chung, inventor of the spends countless days each year on the stream perfecting his nymph fishing method. Here’s a video of Rim fishing. And Rim and I both enjoy taking our adventures further from home, often with other friends and those we have met from our both being members of the International Fario Club founded by Charles Ritz. Copyright 2018, entire site, all rights reserved, no images or text may be reproduced or reposted in any fashion whatsoever without the express written permission of rimchungflyfish@gmail.com.